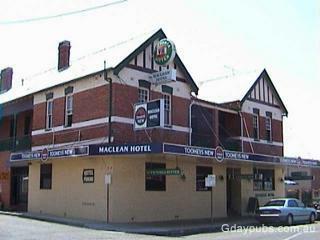 The present building is the second Maclean Hotel to be erected on this site. The first, a five roomed wooden structure, was built in 1863 by John McLachlan for Alexander Cameron. Another seven rooms were added in 1875. The present building was built in 1903-04, and like its predecessor faced the river. The upper storey contained sixteen bedrooms, two parlours, smoking room and a commercial room. 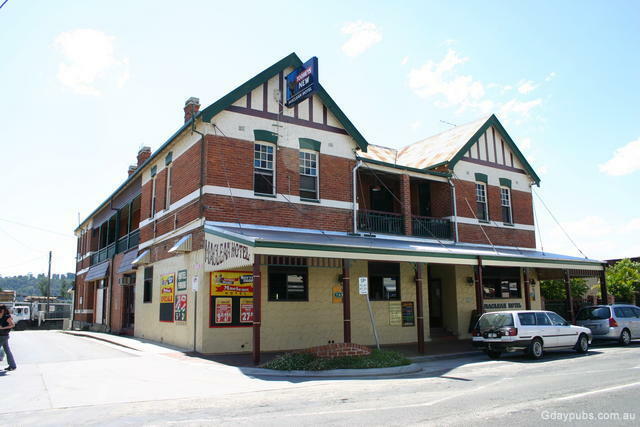 Stables and a weatherboard billiard room were also erected adjacent to the Hotel. First Licensee of the new Hotel was James Cooper. The freehold remained in the Cameron family untill 1923. 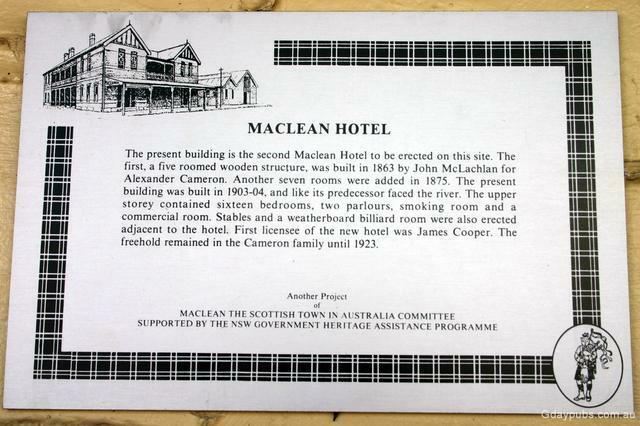 Information courtesy "Maclean the Scottish town in Australia Committee"
History board of the Maclean Hotel. Retyped above.